At Hummer X limousines we believe that every birthday or special event is a reason to celebrate. 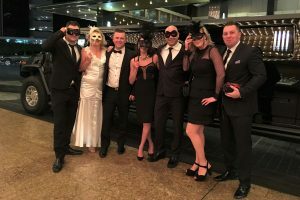 Whether you’re having a milestone birthday party or simply wanting to celebrate a particular occasion, rest assured that we will endeavour to cater a limousine experience that will definitely make your special event a time to remember. Our Hummer limousines will transfer up to 16 of your invited guests and include mints and chilled bubbly for your enjoyment. Cold water and or soft drinks will be provided for under age limo party transfers or party packages. Book your Hummer limousine today for your celebration and prepare to sit back, relax and enjoy the ride.